I often trim my slipcovers with welt cord (piping). It adds a subtle design detail and professional finish. When the cord is covered in the same fabric as the slipcover it blends right in. Welt cord also adds a lot of function to a slipcover. It gives structure to the furniture body, cushions and arms. 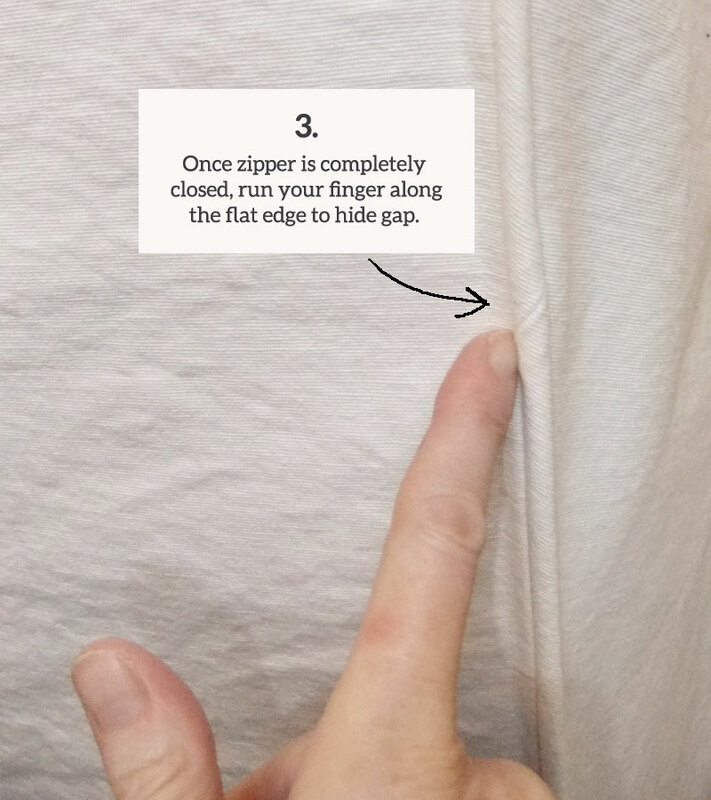 It defines a skirt line or hem edge. And, it adds strength to seams. The right type of welt cord will hold its shape and look smooth and straight throughout the life of a washable slipcover. I always use washable, flexible, non-shrinking cord. It has a poly tissue core that’s wrapped with a braided cover. This entry was posted in slipcover design, slipcover trims and tagged slipcover welt cord on June 30, 2018 by slipcovermaker. I almost always put a zipper opening in my custom slipcovers for easy on and off. 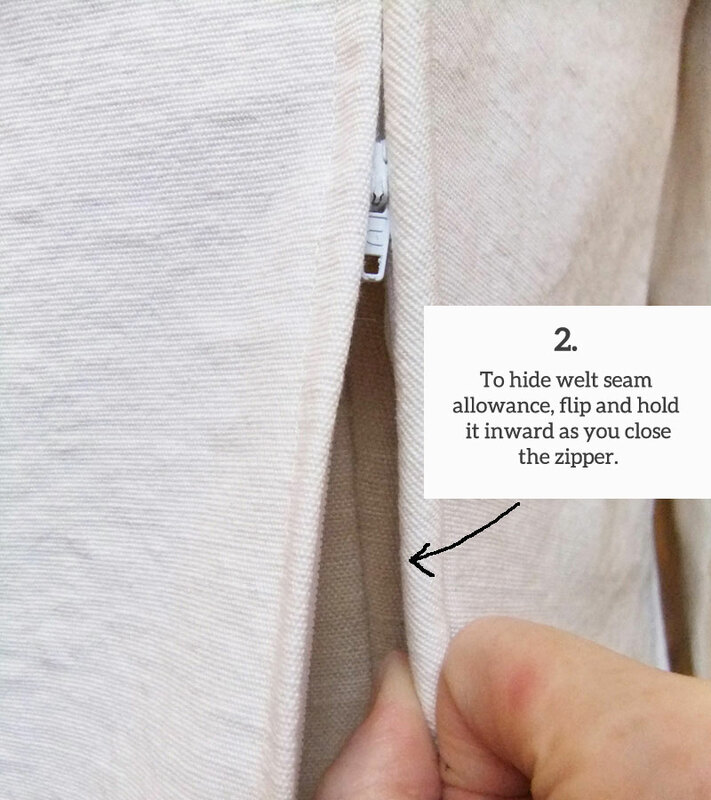 For most styles, I insert the zipper in the left back corner. My customers don’t know it’s there until I point it out. You might think it’s an invisible zipper. It’s not. It’s just a regular #3 nylon coil type and I sew it in much like you would a lap zipper. This entry was posted in slipcover trims, slipcover tutorials and tagged slipcover zippers on January 29, 2016 by slipcovermaker. 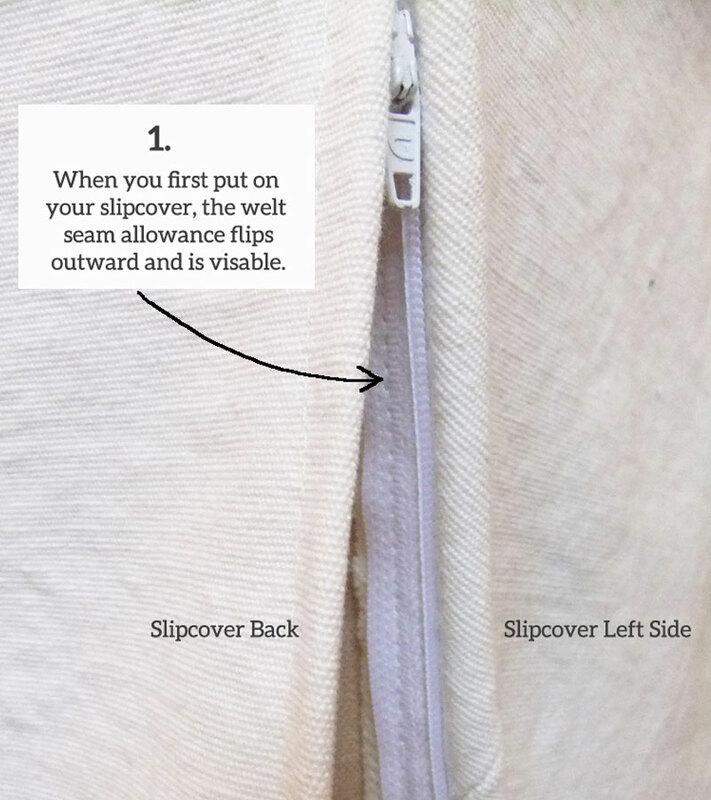 Welt Cord for Slipcovers: Which one works best? There are many retailers and wholesalers who carry this type of welt cord. 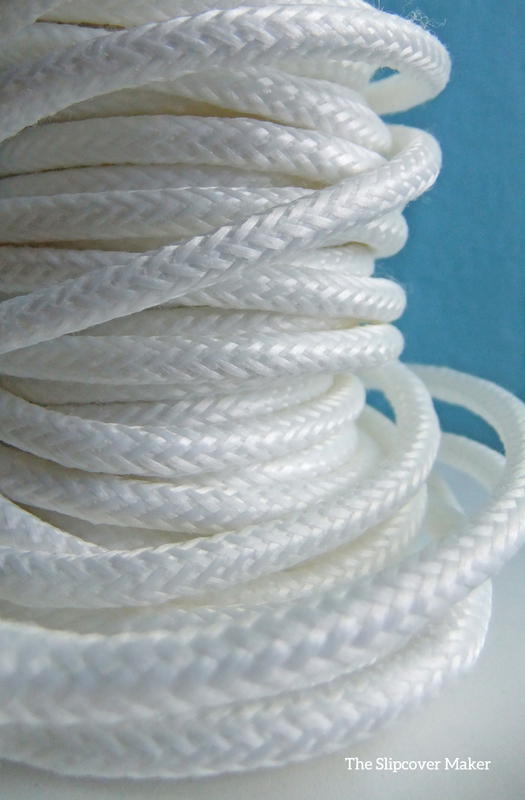 Online upholstery suppliers often carry this type of cord, too. Tip: sample before you buy. I recently purchased 500 yards of “polyester welt cord 5/32” from an upholstery supplier and I was very disappointed with the quality. The 5/32 size was wimpy and the core was mushy and flattened quickly. Now I know not all poly welt cord is made the same way. Avoid using cotton welt cord (left) for washable slipcovers. The cotton fill is a bit lumpy and loosely covered with fishnet. 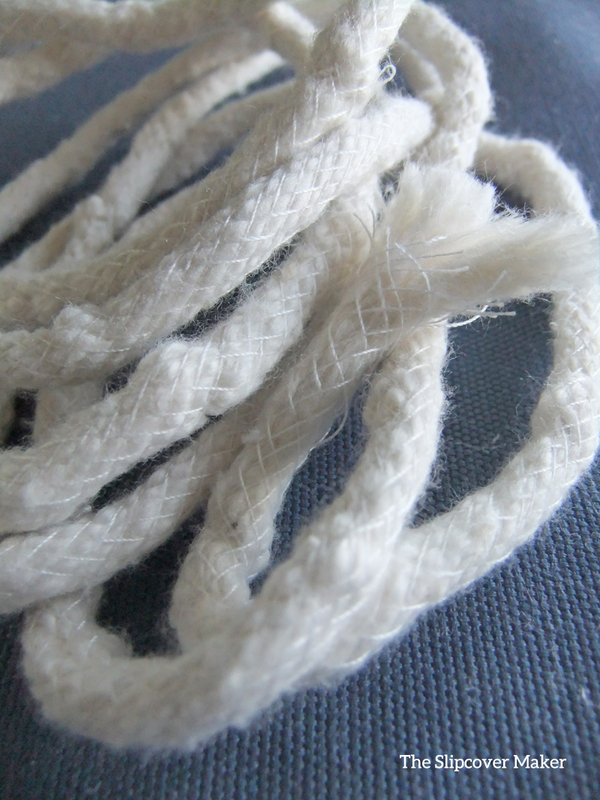 Another type of cotton welt cord is twisted like a rope. Either way, it’s mushy and flattens easily. Watch out, this stuff will shrink! 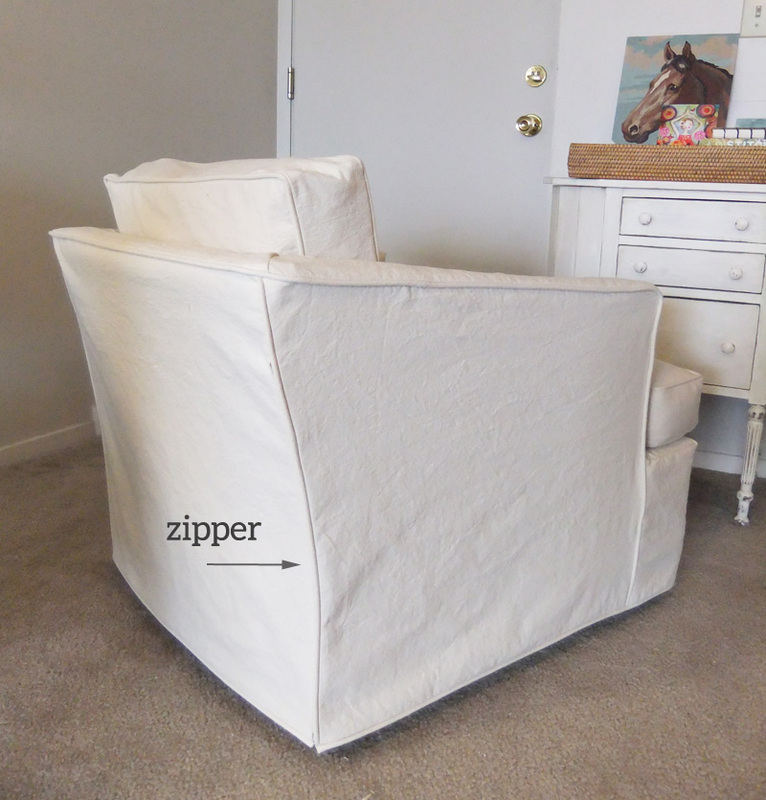 This entry was posted in slipcover trims and tagged slipcover details on April 19, 2015 by slipcovermaker.